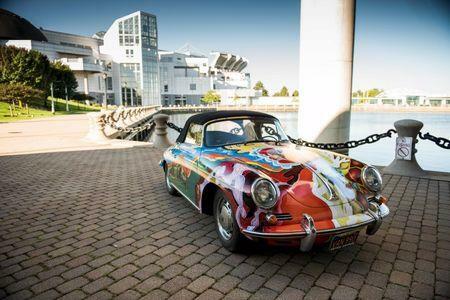 NEW YORK (Reuters) - Janis Joplin may have famously pleaded for a Mercedes-Benz in her 1970 a cappella song but her car of choice was a psychedelic Porsche that now is going to be sold at auction. "Janis drove the car everywhere, all around San Francisco and down to Los Angeles when she was recording there," her sister and biographer Laura Joplin said. "Wherever Janis went in the car, her fans recognized it. When she parked it and returned, there was always at least one (fan) note under the wipers." The car is to be sold on Dec. 10 as part of RM Sotheby's "Driven by Disruption" auction of 30 creatively styled automobiles.